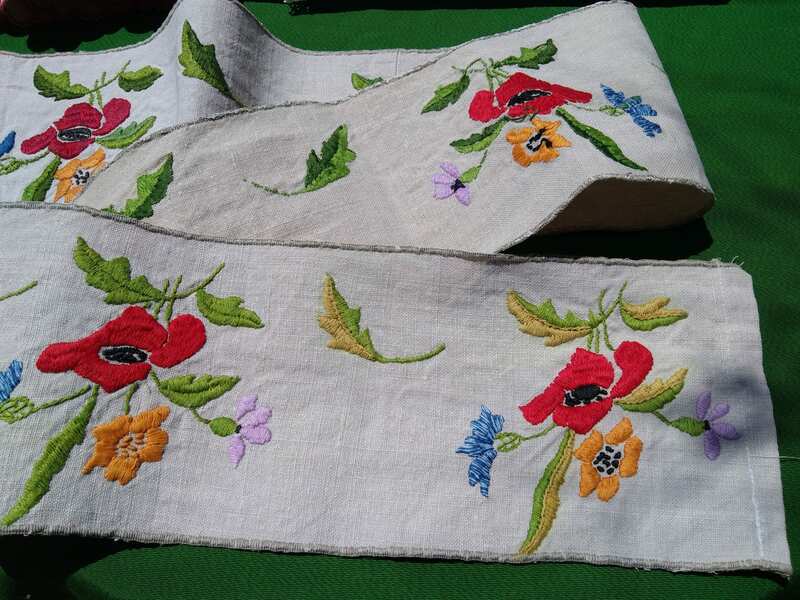 Natural gray linen French Shelf Edging with Gorgeous Flowers hand embroidered. 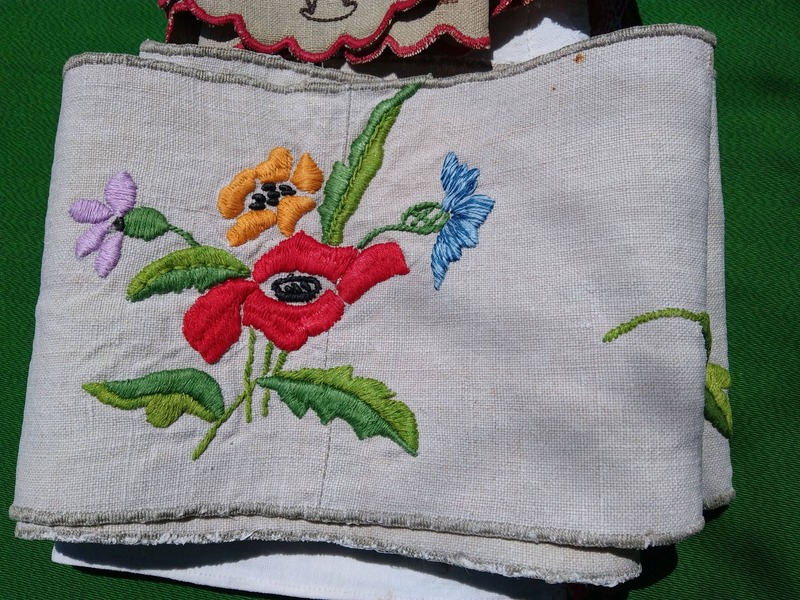 Red, Orange, Green, Blue, Purple. 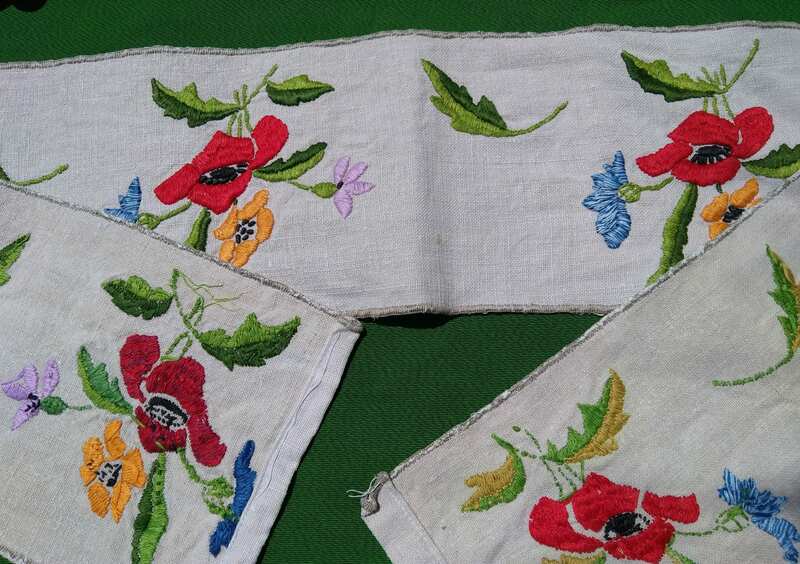 Good Vintage condition , linen fabric is rigid. 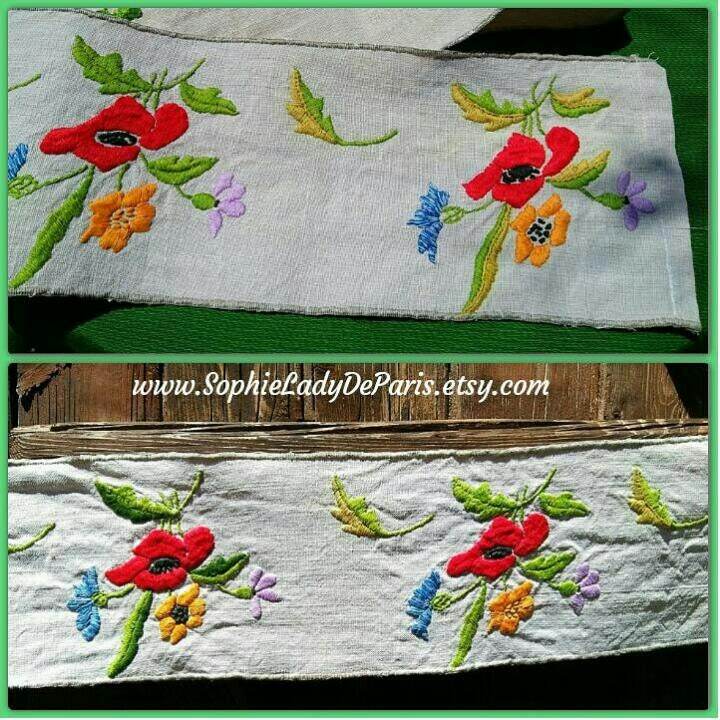 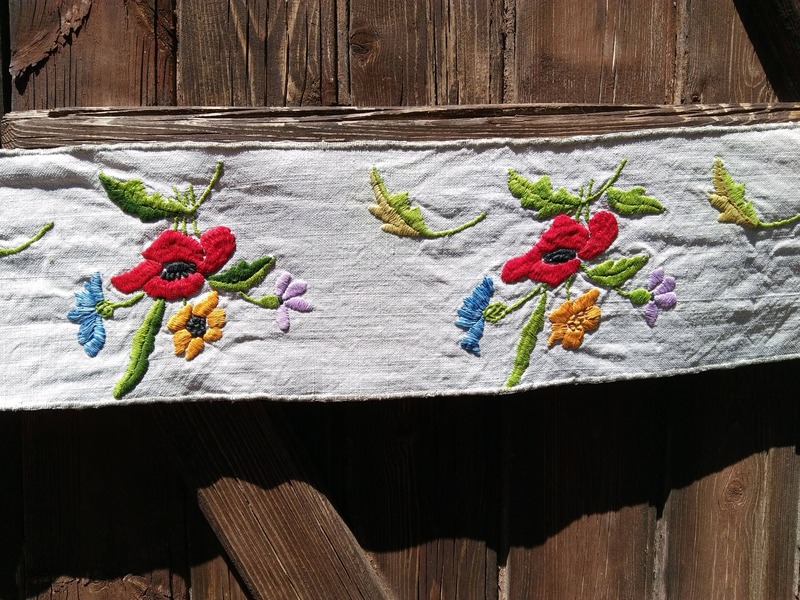 Beautiful original French linen Home Decor piece for shelf edge decor, kitchen etc... or sewing project.